Calling Obesity A Disease May Make It Easier To Get Help : Shots - Health News If obesity were a disease, would you be more likely to seek medical help because insurance would pay for treatment? Or would you feel stigmatized and just give up? That's the debate surrounding increased efforts to classify obesity as a disease. 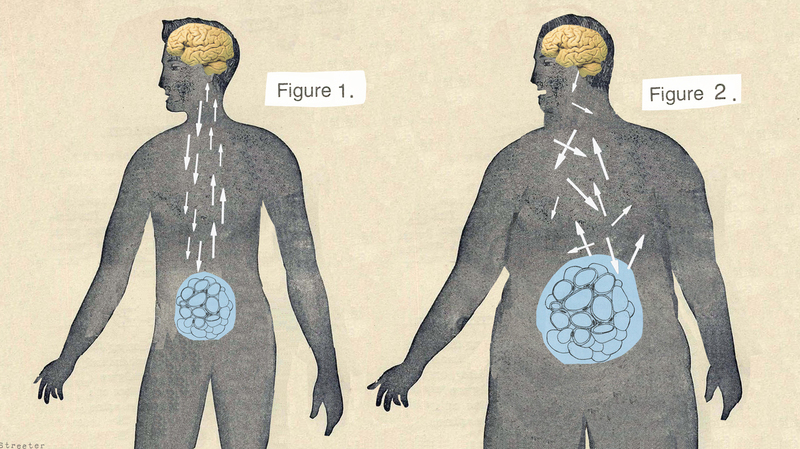 Differences in brain chemistry can affect an individual's likelihood of weight gain. Under the Affordable Care Act, more insurance plans are expected to start covering the cost of obesity treatments, including counseling on diet and exercise as well as medications and surgery. These are treatments that most insurance companies don't cover now. The move is a response to the increasing number of health advocates and medical groups that say obesity should be classified as a disease. Not everyone thinks this is a good idea, but this summer, the American Medical Association determined that obesity is a disease. The organization followed in the footsteps of the Obesity Society, a health advocacy group that called obesity a disease back in 2008. Many overweight or obese individuals are victims of their own genetic history, according to Dr. Lee Kaplan, an obesity specialist and director of the Massachusetts General Hospital Weight Center. "We're all wired in slightly different ways," he says, adding that those subtle differences are reflected in how the body deals with energy stores and fat. There are thousands of genes in the body, and Kaplan says about 100 of them are involved in making some people more susceptible to weight gain. Classifying obesity as a disease is long overdue, according to Dr. Osama Hamdy, who directs the Obesity Clinical Program at the Joslin Diabetes Center in Boston. "The reality is, if you have that genetic susceptibility to gain weight, you will gain weight easily, no matter what." Genetic susceptibility has to do with hormones and chemical systems in the body that direct appetite, metabolism and the absorption of nutrients and fat. One of those hormones is leptin. It's produced by fat cells and tells the body when it's eaten enough. Hamdy says the majority of people who are obese are resistant to leptin. "The brain is shielded from the information on how much fat you have in your body," he says. "The brain is under the assumption all the time that you need more fat." Other hormones make some people get hungry more often than others. Then there's another system of brain chemicals, the endocannabinoid system. If it's not functioning properly, it fails to tell the body to stop eating what it really likes. For example, if you've always loved the sugary flavorful taste of ice cream, you may end up eating way too much of it simply because an enzyme in your brain fails to halt the chemical that signals your brain to eat as much of the beloved food as you can. A 2009 study on the genetic susceptibility of weight gain found that when 12 pairs of identical twins were overfed 1,000 calories a day for about three months, each set of twins gained a different amount of weight. Some only gained about 8 pounds, while others gained nearly 30 pounds. But within the pair of twins themselves, the weight gain was exactly the same. Defining obesity as a disease should encourage more doctors to offer treatments like surgery and medication, Hamdy says. Two new obesity drugs, Qsymia and Belviq, were recently approved by the FDA. But not everybody thinks calling obesity a disease will help make people healthier. Classifying obesity as a disease "sets people who are heavier up to believe there's something wrong with them and they're going to get sick unless they do something about it," according to Linda Bacon, a professor of nutrition at City College of San Francisco and the author of the book Health at Every Size: The Surprising Truth About Your Weight. That then is "used as justification for surgery to ward off the potential of future disease," she says, "but that future disease may never exist." Indeed, research has shown that some people can be overweight or even obese and still fit, whereas their more slender counterparts may be at greater risk for heart disease. Even so, Kaplan says obese individuals are still at greater risk of high blood pressure, high cholesterol, arthritis, sleep apnea, infertility, depression and diabetes.